The Brandeis Library is celebrating Open Access Week from Oct. 22 to 28! 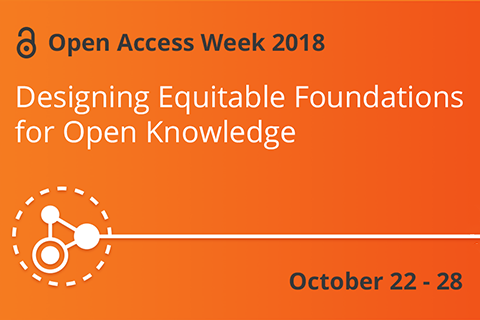 Open Access Week is an annual international event sponsored by the Scholarly Publishing and Academic Resources Coalition (SPARC) that promotes open access to peer-reviewed work as a new norm in research and scholarship. The Brandeis Library supports open access through several important initiatives. A guide to our open access resources and information on the Brandeis Open Access Fund are available on our site. The purpose of the Open Access Fund is to extend the Library’s support of scholarly publishing to faculty, staff and students in established scholarly journals that are not supported through subscriptions. Providing the requirements are met, the Library will provide 100 percent of the funding per article. Why exactly is open access so important for researchers? An essential part of the research process is communicating the results. The open access movement promotes the idea that all research should be freely available and accessible online once published. However, cost or use restrictions can prevent the full community of potential users from accessing the information. Open access is continuing to gain support as more research funders and policy-makers endorse this new model of publishing. Open access is entirely compatible with peer review, and all the major open access initiatives for scientific and scholarly literature insist on its importance. Just as authors of journal articles donate their labor, so do most journal editors and referees participating in peer review.